A little update for those who remembered my Pro-One project: http://www.carbon111.com/pro1.html. Well, after finally replacing the old capacitors and finding a set of P5 knobs for my SCI Pro-One, I thought I'd top everything off with a little treat. Intensity can be off, full on or synced to the LFO waveform with the toggle switch. 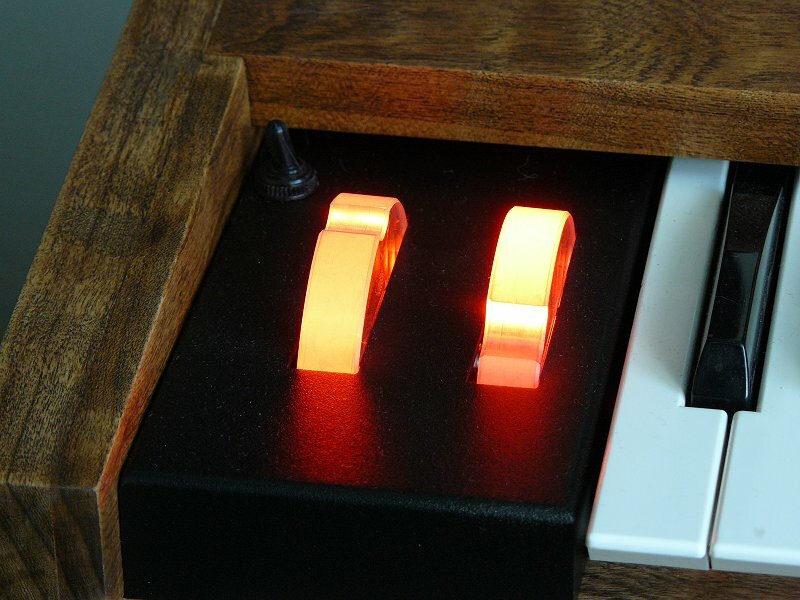 On some color settings, the lights actually cycle through different colors during the LFO's duty cycle. Being able to "see" the LFO waveform as well as rate is rather useful, actually. Very nice! How much for the total makeover? ...that includes the new case and wheelbox, capacitors, a jack, new bushings, new knobs, LED board and some bits and pieces from the hardware store. Including the price of the synth and all shipping costs I'm in it less than $630...I got *very* lucky on the price of the synth itself. 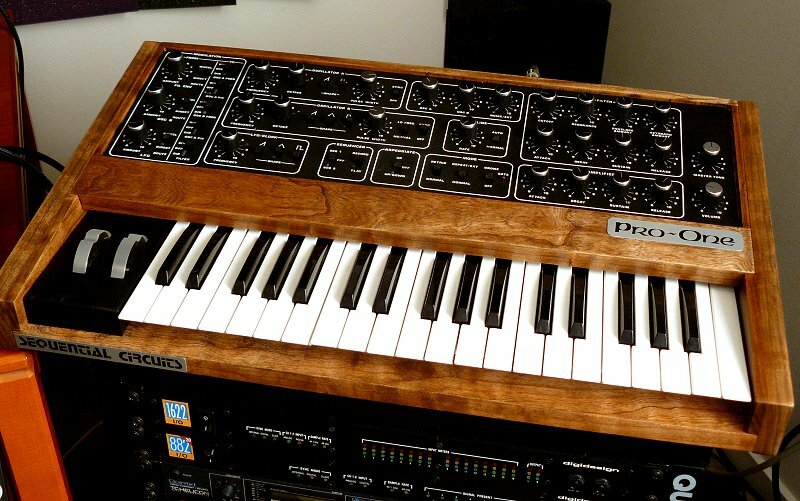 Yours has to be one of the most beautiful little synths in the planet! regards! Hi, I emailed you in regards to the original woodsides from your ProOne to see if you would consider selling them. If you did not receive it I can send it again.